Bollywood’s loved Chote Miyan, Govinda is all set for his upcoming film, Fryday directed by Abhishek Dogra. With the trailer that released last month, the anticipation for the film has only increased and people cannot wait to see Govinda on screen again in Fryday! 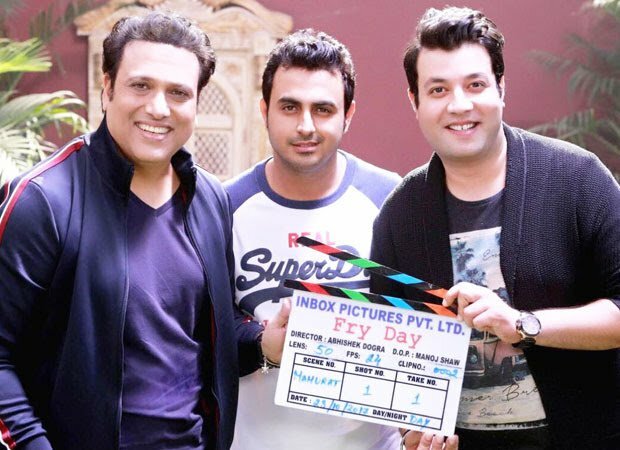 Dolly Ki Doli Director, Abhishek Dogra’s Fryday is all set to release on 12th October starring Govinda in his best avatar along with Varun Sharma in comical roles. Fryday is Presented by Inbox Pictures Pvt. Ltd., Produced by Sajid Qureshi and Co-Produced by PVR Pictures. 16 queries in 0.577 seconds.